From the time I was a young girl, my faith was something I took seriously. I loved learning about this incredible God of the Bible that loved me in my sin, so much so He sent His own son to take my place in death. I loved reading that He is alive and that He works everything for my good and His glory. And I loved the realization that the pages of Scripture I read were God-breathed and alive, applicable to my day-to-day life. I believed all of it. Or so I thought. Then freshman year of college happened. And along with the regular ups and downs that come with freshman year, it was the most stressful year my family had ever experienced. To make matters worse, I felt responsible for everyone in the situation. Looking back, it’s obvious that it wasn’t my responsibility to make sure everyone smiled through such a season -- emotions should have been expected. But in my anxious, 18-year-old mind, if someone in the family wasn’t cheerful, I was to blame. But when the blame on myself became too much, I began putting it on someone else. The only person that I could think was responsible – God Himself. 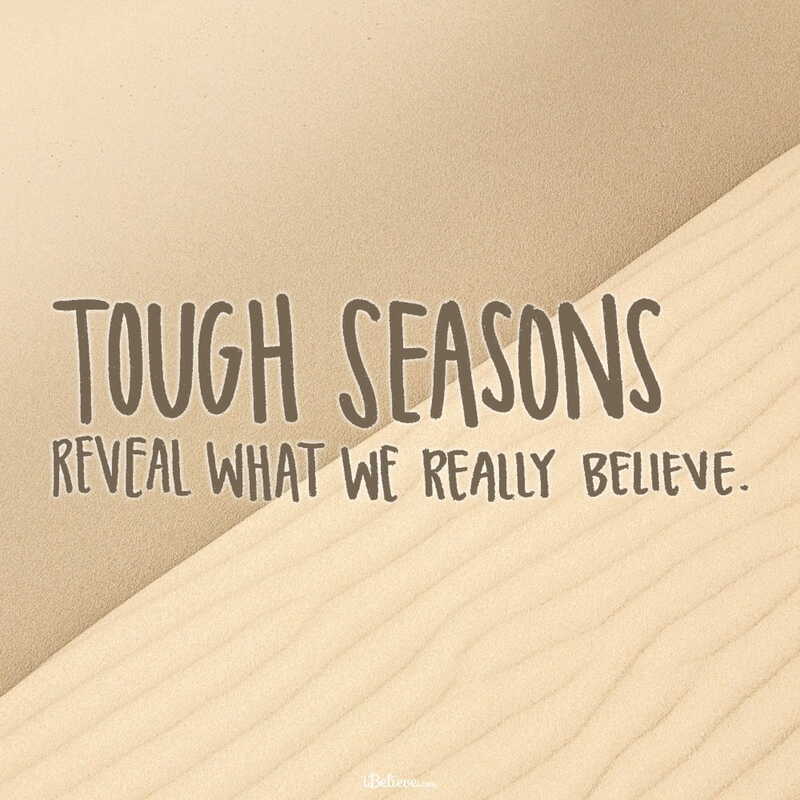 Tough seasons reveal what we really believe, and my tough season was revealing that everything I thought defined me wasn’t real to me at all. I didn’t know what to do about it. Every day was more hopeless than the day before. I was losing my faith and in doing so, my identity. So what do we do when our head and heart think differently? Ask God to teach us the truth. For anyone to truly know God and the truths of His word, God Himself has to work supernaturally in our hearts. Want to hear the great news? HE WANTS TO DO THAT IN US. God desires for us to know Him and truly believe His Word. All we have to do is ask. Ask the Father to help you believe today. He desires that for you. Editor’s Note: Content taken from “3 Things to Do When You Struggle with Doubt” by Jordan Sok. You can read that piece in full here. All rights reserved.